A funeral service for Barbara Lee Dehmann 1pm on Wednesday, October 4, 2017 at Brucker Kishler Funeral Home, 985 N. 21st Street, Newark, OH 43055 with Thomas L. Dehmann officiating. Family will greet friends from 11am-1pm at the funeral home, prior to the service. Barbara will be laid to rest at Wilson Cemetery. Barbara, age 65, of Utica, passed away on Saturday, September 30, 2017 at her home. She was born to the late Charles and Rosemary Blake in Columbus, OH on November 4, 1951. Barbara is survived by her loving husband of 47 years, Larry Dehmann. She also leaves behind her sons, Timothy (Jullene) Dehmann, Matthew (Angela) Dehmann, and Nathan Dehmann; grandchildren, Cody, Katelynn, Devin, and Caden; and sister, Bonnie (Marvin) May. In addition to her parents, Barbara is preceded in death by her sister, Debra Beaver, and brother, Charles Blake. In her free time, Barbara enjoyed quilting, sewing, and doing crafts of all kinds. She also loved animals. In lieu of flowers, the family asks that donations be made to Brucker Kishler Funeral Home, 985 N. 21st Street, Newark, OH 43055, to help cover funeral costs. To sign an online guestbook, please visit www.brucker-kishlerfuneralhome. A memorial celebration for Jessie V. Dutcher will be held at 7pm on Tuesday, October 3, 2017 at Brucker Kishler Funeral Home, 985 N. 21st Street, Newark, OH 43055. Family will greet friends for one hour prior to the service at the funeral home. Jessie, age 93, of Newark, passed away on Saturday, September 30, 2017. 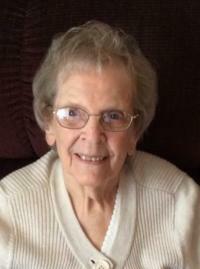 She was born on September 7, 1924 to the late Walter and Jessie (Pifer) Howery in Junction City, Kansas. Jessie loved being a Sunday school teacher and singing in the choir at Trinity Episcopal Church. In her free time, she enjoyed volunteering at the hospital. Jessie is survived by her children, Jeffery (Colleen) Dutcher and Sandra Dutcher; grandchildren, Jesse (Angela) Beck, Todd (Vickie) Beck, Adam (Christine) Dutcher, and Justin Dutcher; 10 great grandchildren; 2 great-great grandchildren; and companion, Don Porter. In addition to her parents, Jessie is preceded in death by her husband, Bobbie Dutcher, 4 brothers, and 1 sister. In lieu of flowers, donations can be sent to Hospice of Central Ohio, PO Box 430, Newark, OH 43058.